Bloomington City Council’s Work Session on Monday night gave citizens the opportunity to hear City Manager, David Hales, update the previously approved Action Plan. Problem with that was, among others, is that there weren’t many citizens there. The video below helps a little to solve that problem. 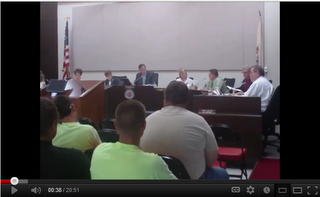 You can watch as the City Manager, the Mayor, and your elected Aldermen discuss some of the city’s business. another visioning process, more retreats for council, and who would’ve thought, municipal electric aggregation. Yes, that’s right. Electric aggregation – again. Seems as if our community’s vote to reject that government plan meant nothing to our elected representatives and city officials. 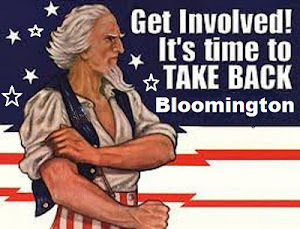 Watch and listen to these topics and more and how Bloomington’s upside down government corrupts the traditional representative, democratic process and fails at representing the citizen’s best interests. I encourage you to get involved fellow-citizen. It’s your city. If not you, then who? and for the good of the community. We meet regularly to discuss, strategize and engage. 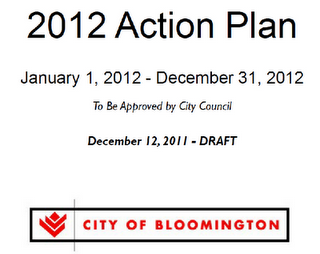 Posted in Local.Tagged action plan, BloNo, BLOOMINGTON CITY COUNCIL, CITY OF BLOOMINGTON, COMPREHENSIVE PLAN., electric aggregation, MASTER PLAN, MAYOR STOCKTON, Pantagraph, PLANNING, SUSTAINABILITY, WJBC. Cheers, I just stopped in to visit your site and thought I’d say thank you. Next Post Illegal Immigration – let’s solve it!